One mission is to be your choice title and real estate settlement service provider throughout Pennsylvania, New Jersey and Delaware. We help our customers in a professional, efficient manner with a friendly personal touch. Members Settlement Services, LLC. Your Choice Title and Settlement Company. © 2019 Members Settlement Services LLC. All Rights Reserved. Serving all counties in the Commonwealth of Pennsylvania including Bucks, Montgomery, Berks, Chester, Delaware, Allegany and Philadelphia County. Providing Pennsylvania Title Insurance with Stewart Title Guaranty. On staff real estate attorney. 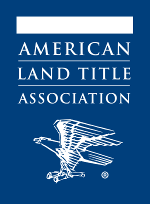 We specialize in providing realtors, builders, lenders, developers and home buyers Title Insurance in Montgomery County PA, Bucks County PA, Berks County PA, Delaware County PA, Philadelphia, Lansdale, Fort Washington, Dresher, Ambler, North Wales, Montgomeryville, Hatfield, Souderton, Telford, Quakertown, Norristown, Plymouth Meeting, Blue Bell, North Wales, West Point, Upper Darby, The Main Line, Gladwyne, Penn Valley, Bryn Mawr, Bala, Audubon and other local communities. Key words we are sometimes found by: Pennsylvania Title Company, PA Title Company, Title Company Pennsylvania, Title Companies PA, PA Title Insurance, Pennsylvania Title Insurance. Serving all counties in New Jersey including Atlantic County, Bergen County, Burlington County, Camden County Cape May County, Cumberland County, Essex County, Gloucester County, Hudson County, Hunterdon County, Mercer County, Middlesex County, Monmouth County, Morris County, Ocean County, Passaic County, Salem County, Somerset County, Sussex County, Union County, and Warren County. Key words we are sometimes found by: New Jersey Title Company, NJ Title Company, Title Company New Jersey, Title Companies NJ, NJ Title Insurance, and New Jersey Title Insurance. Serving all counties in Delaware including New Castle County, Kent County and Sussex County. Key words we are sometimes found by: Delaware Title Company, DE Title Company, Title Company Delaware, Title Companies DE, DE Title Insurance, and Delaware Title Insurance.